From the opening scene we can see that the title character of this episode is certainly the Gargoyle, but what is its purpose? With so little of the episode actually devoted to it, it does seem pretty confusing. At least until you get the explosive reveal at the end of the episode. So let’s break it down and catch up with this episode’s most important parts. Looks like the hunch last week paid off. Mossimo the Druid is 100% human. After a failed kidnapping attempt on Tamsin, Bo discovered his humanity while trying to feed off him. What followed was a decidedly less than in control Druid begging Bo for Tamsin’s hair to cure “his mommy” and how he wants her to “need him”. After she threw the strand of hair into the pit of molten lava, Mossimo followed after it as if in a daze – or a cloud of mommy issues. This is a completely mind boggling scene and I honestly am curious to see what new info is added to it – if any. I still believe he is the claimed human for the Morrigan, but where his mom fits in I don’t know. Seeing the Druid sniveling and losing his composure in the blink of an eye like that was a complete 180 from what we’ve come to expect from him. Our little girl grows up so fast. After 2 weeks of growth spurts, Tamsin is finally back. Or is she? Whereas she’s old enough to be played by Rachel Skarsten again, she still retains the innocence of a child for the most part, which confuses those who knew the old Tamsin far too well. Young Valkyries are sought after is due to their hair. Tamsin is in her final life cycle, which not only brings about the painful onset of wings. Being in her final life cycle increases her powers exponentially. Even giving her the power over air itself while she’s seen chocking the life out of Mossimo from a distance. On the left, a dreamy eyed Tamsin asks Dyson about love. On the right, Tamsin reveals her immensely powerful true form – the form a Valkyrie takes in its final life cycle. Are Valks another type of elemental Fae? Seems to be a theme this season. Either way I’m happy that these new powers are paired with a decidedly sweeter Tamsin. Hopefully it stays that way. After asking about Lauren one second, Bo jumps Dyson’s bones the next. 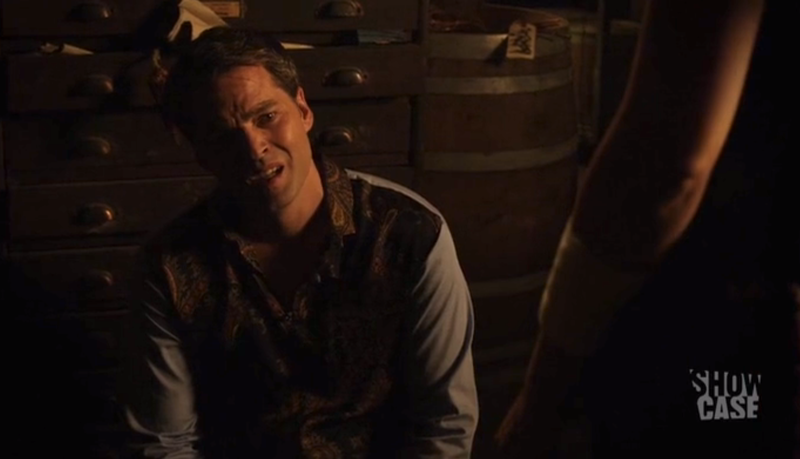 Add in Bo causing a Dal-wide gropefest, and now both Dyson and Kenzi notice a difference in Bo’s attitude. She seems hungrier, which definitely follows up on that voice inside Bo’s head last episode telling her to kill an entire family by feeding off them. 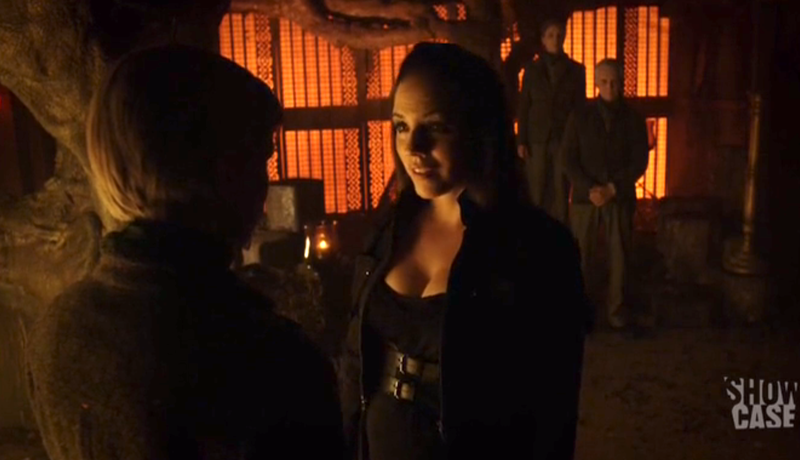 The Ignis Rim set up to keep out malicious Fae activates yet again to block Bo’s entrance into Kenzi’s apartment. In case there was any chance in this all being circumstantial, there was one final clue to the end of episode bombshell. When Bo first returned home, she ‘again’ got blocked by the Ignis Rim, which is a protection spell that in this case supposed to keep “malicious Fae” out. In conversation with Mossimo, Bo learns that Gargoyles are ancient. They serve much higher powers, which makes sense considering their lightning fast speed and abilities we got a glimpse of in this episode. Whereas our little Gargoyle friend only has around a minute of screen time, his purpose – at least for the Una Mens – is more of a roving blood test. After biting Bo, the creature disappears to return to the Una Mens. It is here that it is revealed that Bo has in fact chosen a side: Dark. Bo confronts the Una Mens who no longer have any desire in hunting down a succubus who has already chosen a side. With her blood having picked a side, the Una Mens are no longer interested in her death. Meanwhile, we the audience also turned to stone when we found out that the unaligned succubus since season 1 is now dark. While being locked in a dinghy horror-movie-like dungeon, we learn some more about Lauren’s mysterious past and how she had made bombs for her brother that lead to some innocent people being killed. We also find out that Crystal was hired to sleep with Lauren from the start in order to keep her close – sounds oddly familiar. Later she is forced to perform a medical diagnosis for a Fae elder who appears to be suffering from feeding off of his own kind too much, possibly his own family line. Lauren not only nails the diagnosis, but also insults her captors, reveals Crystal is suffering from a nickel allergy from the handcuffs, breaks her own handcuffs, and then calls out Hale as the captor. She had everything right except the last part. Hale was not her captor, but who is? Could it even be the mysterious unseen Wanderer? Or could it be one of the Una Mens? The Druid’s potion from last season that Tamsin used on Bo did in fact work. It was meant to simply mark her so that she could be teleported to another dimension. Kenzi loves Hale! This was admitted to Bo right after Kenzi told her that she also kissed Dyson while she was away. Dyson told Kenzi that there is a way to be more than human and he would show her. 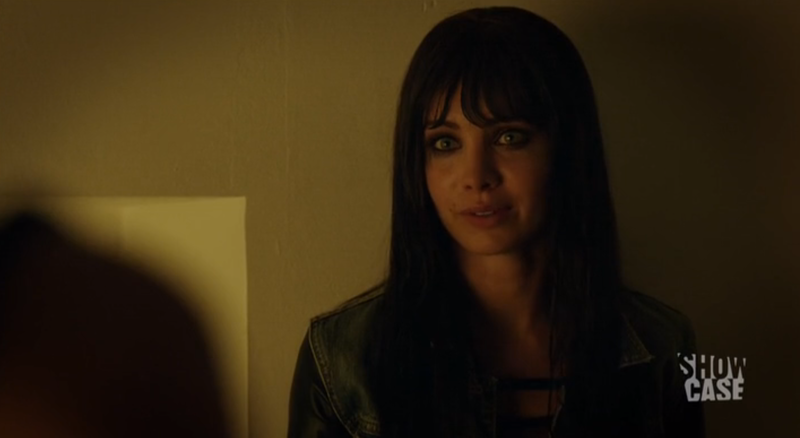 Whether these are kind words or a hint a Kenzi actually becoming Fae, we can all agree it’ll end much better than any back room deals with Druids. Team Valkabus – those wanting a romance between Bo and Tamsin – might get one yet as it is revealed here that Tamsin believes she loves Bo. Though to be honest, I still think Tamsin and Dyson are cute together as well. A distraught Kenzi admits to Bo her kiss with Dyson, her love for Hale, and her need to be stronger since Bo won’t always be around. With this episode coming to a close we see many roles reversed: Bo becoming dark, Tamsin becoming good, the Una Mens seeming rational, and the always in control Mossimo cowering before diving into a pit of lava. Will these paths go unchanged? And where to next? As always, onto the next episode.